Applying for your LTC is much simpler now then ever before. The online services that RDS provides allows you to simply do everything online. Click the more button below to link you directly to the Texas LTC application website and get started to obtain your LTC. Digital fingerprints are now being utilized along with your current DMV photo used on your DL/ID. To schedule an appointment for fingerprints, complete your LTC application and be re-directed to MorphoTrust USA at the end of the application or click the more button below to make an appointment. The State of Texas DPS has lowered the course class from 10 hours to 4- 6 hours. 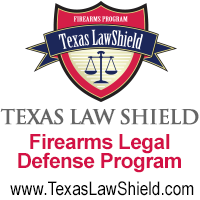 with the new course curriculum set by the Texas DPS, law abiding citizens can obtain their LTC without tying up their entire day in class. Many options are available to suit your individual need. Your Texas License To Carry is just 3 steps away.